Whether you're moving to your first home, upgrading to a bigger one, or moving far away to a new one there is always a little nervous excitement wrapped up in those big cardboard boxes. 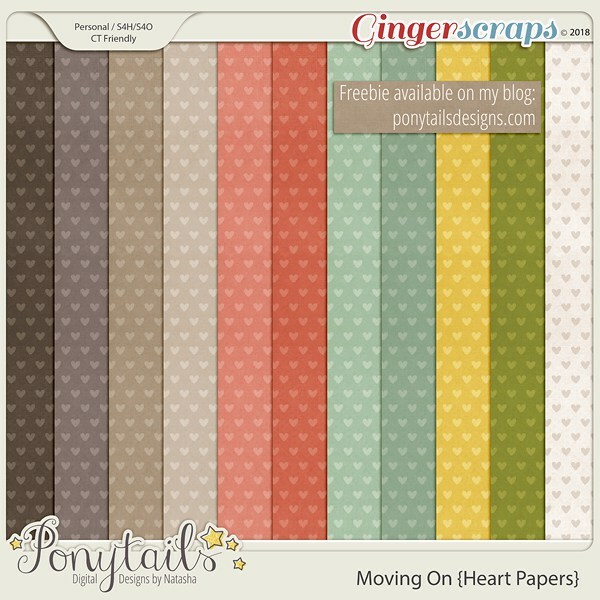 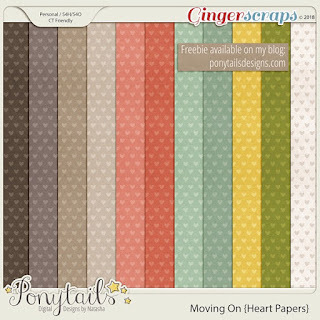 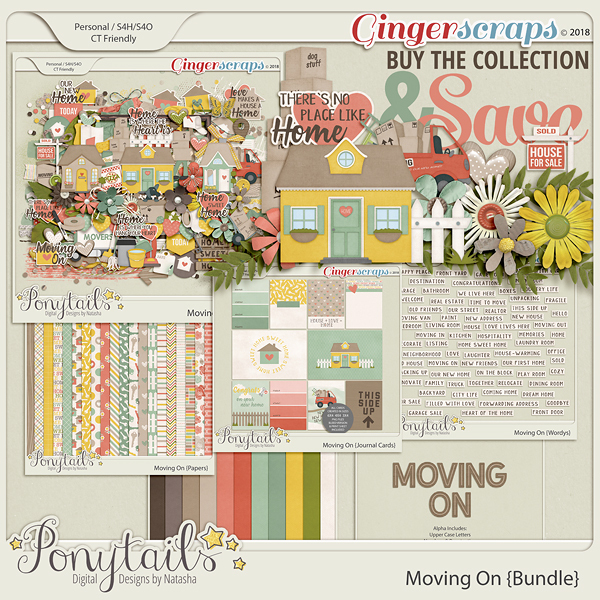 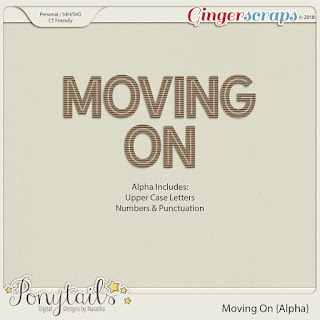 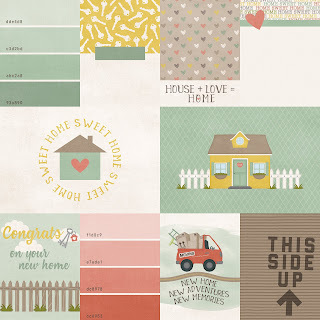 With Ponytails Designs’ latest release, Moving On, you can scrap all those moves or you can scrap home improvement projects or times spent organizing things around your house. 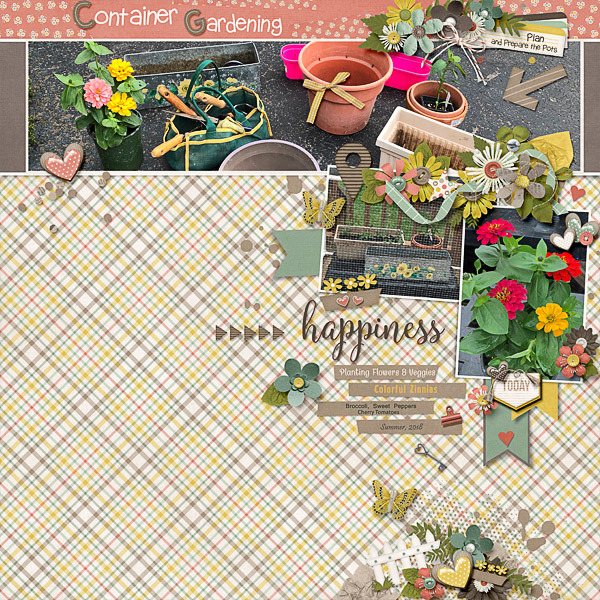 I used this kit off theme, to show off the container gardening which I have planned and planted this year. 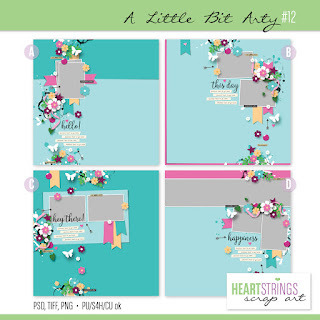 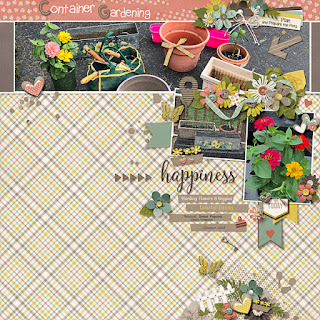 I used a beautiful new template from Heartstrings Scrap Art to show off the beginnings of our flowers and vegetables….